With this load type, files can be uploaded to applications of a Qlik Sense Server. Additionally, a reload of Qlik Sense application Qlik Sense can be triggered. The load is not linked to a data source. A preceding file-based load can be used to create the file to be uploaded, based on any data source. For this load, a Qlik Connector License and a Connection to Qlik is required. Any file-based connection. Currently possible types are File (for CSV), XmlFile, JsonFile, ExcelFile, QvxFile, or TdeFile. Name of the application in Qlik Sense. If checked, the file is uploaded to the application on the Qlik Sense Server. If set, the Qlik Sense application is reloaded. In that case all data is updated in Qlik Sense i.e. 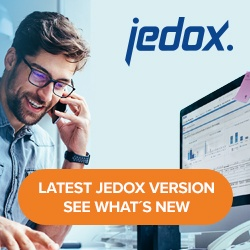 if any of the files that are loaded via Jedox are bound to any of the Qlik reports or any views, the report or view will be updated. Note that the file size uploaded to Qlik Sense cannot be larger than 25 Megabytes.